The Fitbit Ionic isn’t quite the slam dunk product that maybe the brand’s fanatics might have hoped it would be. However, it still manages makes a strong case that - despite their wearable roots - Fitbit absolutely have what it takes to compete with the big names in the smartwatch space. There’s a lot of hype behind (and hope riding atop) Fitbit’s first true smartwatch. The Fitbit Ionic isn’t just the company’s first fully-featured effort in the smartwatch space, it’s the centerpiece of their pivot into the broader tech space. The wearables market - while still strong, has slowed in recent years - and it's evolve-or-die time for companies like Fitbit. 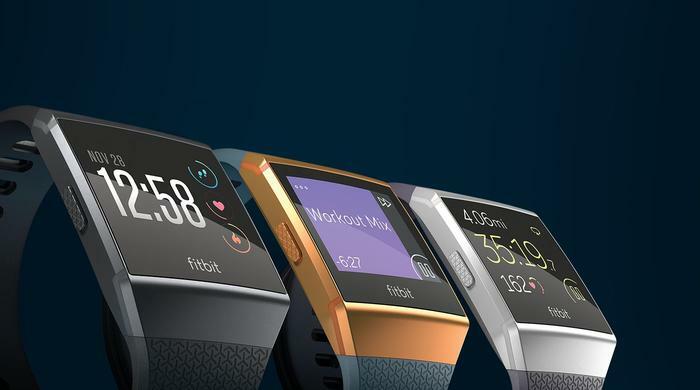 The days of Fitbit being solely focused on the trackers that they made their brand on are fast fading into the rear-view mirror. Now, the company is moving to sell not just fitness trackers but a whole ecosystem of products that compliment one another. The crux of this effort: The Fitbit Ionic. Thankfully for the company, the finished product here represents both a strong first step for the company and an equally-impressive evolution over last year’s Fitbit Blaze. It’s good where it needs to be - even if it's got enough quirks to stop it from being an outright must-have. 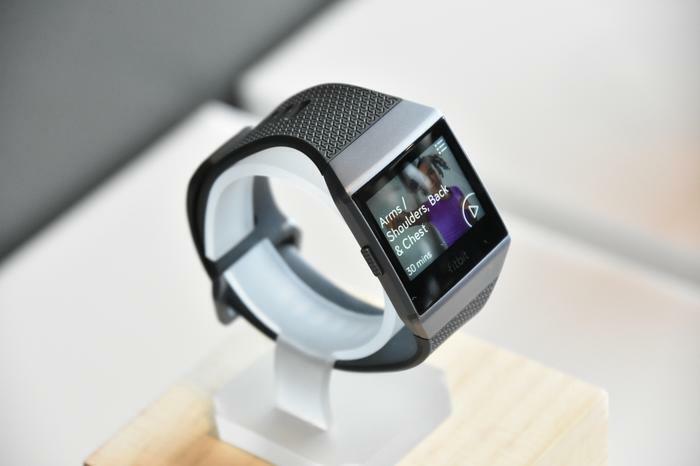 The Fitbit Ionic is a GPS Sport watch running on Fitbit’s own FitbitOS operating system. It features a 1.42-inch (348 x 250 pixels) LCD display that comes coated in Gorilla Glass 3. Under the hood, it’s packing a 3-axis accelerometer, 3-axis gyroscope, optical heart rate monitor, altimeter, ambient light sensor, GPS and a lithium-polymer battery that promises (and mostly delivers) 5 days of life to a single charge . The Fitbit Ionic also comes water resistant to fifty meters and is available in Charcoal/Smoke Gray, Slate Blue/Burnt Orange, Blue Gray/Silver Gray color variants. At a glance, the most-immediate difference here between the Ionic and the competition is that the Ionic doesn’t just lean into Fitbit’s past aesthetic efforts but has clearly learned a lot from them. As you’d expect, it sits closer to the fitness bands that Fitbit are known for than it does the more traditional watch designs that Samsung and Huawei have dabbled with in recent years. In comparison to the new Series 3 Apple Watch, the Ionic looks noticeably sharper in the most literal sense. Where Apple’s timepiece is all curved corners and rounded-edges, the Iconic touts sleek slopes and acute angles. Still, at a glance, it’s clear that this wearable is absolutely building on the foundation set by last year’s Fitbit Blaze. That said, it’s equally apparent that a lot of lessons have been learned by Fitbit’s design team in between the two releases. The Ionic is nowhere near as bulky in form-factor and generally much lighter on your wrist. There’s no sort of always-on display - which would have made for a nice addition. In it’s place, the Ionic boasts a degree of wrist-detection that (sometimes) turns on the display when it sense you tilting it towards your face. Again, this was pretty inconsistent. In terms of control, the majority of the functions of the Ionic are accessed by swiping or tapping on the unit’s touch screen. This is about as easy as said as done. For everything else, the three stubby buttons on the sides of the Ionic are used as shortcuts. Again, these do their job without too much fuss. Unfortunately, the limited refresh rate and resolution on the display can make navigating menus feel stuttery and jagged even at its best. While the software powering those menus is much cleaner than that of the Blaze, this definitely feels like one area where the Ionic comes second place to its predecessor.